FANBOY PLANET.com . 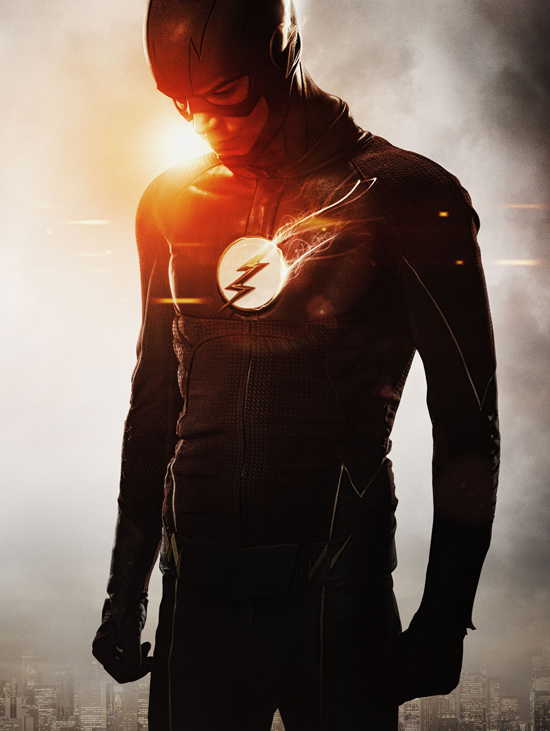 : flash-season-two-costume :. Let the nitpicking (in a good way) begin -- and may I say, it's a brilliant move on the CW's part to have each superhero "evolve" their look from season to season so that the network can have this kind of reveal every year. Below is the costume that Grant Gustin will be wearing in Season 2 of The Flash -- a little different, with a more pronounced zipper (though that could just be the lighting) and a slightly different emblem as he hurtles toward becoming the scarlet speedster we have seen in the "future" of the show. The photo is by Jordan Nuttal (copyright as well to The CW). Let's discuss it!